Here's the latest batch of books to come in for review. Check them out! Mice & spiders & Webs...Oh My! by Sherrill S. Cannon Mice & Spiders & Webs...Oh My! Is your child a good listener? Rosemary is a little girl who is worried about returning to school after her teacher warns the class that they would soon have some mice, spiders, and webs in the classroom. Could Rosemary have misunderstood something? How can mice and spiders and webs belong at school? Full of "Computer Speak," this story introduces young readers to basic computer terms in a delightful way! See if your child can discover the mystery of the misunderstood words, and learn about the fun of computers with Rosemary. Essie's Roses by Michelle Muriel Growing up in the Deep South during the years leading to the Civil War, two young girls find freedom on a hillside overlooking Westland, an Alabama plantation. Essie Mae, an intuitive, intelligent slave girl, and Evie Winthrop, the sheltered, imaginative dreamer and planter's daughter, strike up a secret friendship that thrives amidst the shadows of abuse. Told from the viewpoint of four women: Katherine Winthrop, kind mistress and unexpected heiress to her father's small, cotton plantation; Delly, her sassy and beloved house slave; Essie Mae, her slave girl; and Evie Winthrop, Katherine's only child, Essie's Roses tells of forbidden relationships flourishing in secret behind Westland's protective trees and treasured roses. After scandal befalls Westland, Evie and Essie, aged nineteen, travel to Richmond, Virginia, to escape their abusive pasts. There, they face the gross indecencies and divisions leading to the War Between the States. Though the horrors of slavery and discrimination prompt action, Evie and Essie's struggles lie within. The secrets they hold and the pain of the past lead them away from one another and back home again. Creepy Crawlies and the Scientific Method: More Than 100 Hands-On Science Experiments for Children by Sally Kneidel From monarch butterflies to hissing cockroaches, Creepy Crawlies and the Scientific Method, Second Edition shows teachers and parents how to use bugs, insects and critters to teach children the five steps of the scientific method: question, hypothesis, methods, result, and conclusion. Focusing on fun as well as education, and operating on the premise that doing is learning, Creepy Crawlies offers more than 100 different activities which will ignite children's curiosity while also building foundations for critical thinking and scientific understanding. This classroom-tested collection of experiments is a perfect resource for teachers or just an afternoon of educational fun at home. The second edition includes updated content and four new insect species: the monarch butterfly, the black swallowtail butterfly, the bessbug, and the Madagascar hissing roach! The Art of Baking Blind by Sarah Vaughan In 1966, Kathleen Eaden, cookbook writer and wife of a supermarket magnate, published The Art of Baking, her guide to nurturing a family by creating the most exquisite pastries, biscuits and cakes. Now, five amateur bakers are competing to become the New Mrs. Eaden. There's Jenny, facing an empty nest now that her family has flown; Claire, who has sacrificed her dreams for her daughter; Mike, trying to parent his two kids after his wife's death; Vicki, who has dropped everything to be at home with her baby boy; and Karen, perfect Karen, who knows what it's like to have nothing and is determined her facade shouldn't slip. As unlikely alliances are forged and secrets rise to the surface, making the choicest pastry seems the least of the contestants' problems. For they will learn--as as Mrs. Eaden did before them--that while perfection is possible in the kitchen, it's very much harder in life. Piccadilly: A British Library Crime Classic by Charles Kingston 'Scores of men and women died daily in London, but on this day of days one of them had died in the very midst of a crowd and the cause of his death was a dagger piercing his heart. Death had become something very real.’ When Bobbie Cheldon falls in love with a pretty young dancer at the Frozen Fang night club in Soho, he has every hope of an idyllic marriage. But Nancy has more worldly ideas about her future: she is attracted not so much to Bobbie as to the fortune he expects to inherit. Bobbie’s miserly uncle Massy stands between him and happiness: he will not relinquish the ten thousand a year on which Nancy’s hopes rest. When Bobbie falls under the sway of the roguish Nosey Ruslin, the stage is set for murder in the heart of Piccadilly – and for Nancy’s dreams to be realised. When Chief Inspector Wake of Scotland Yard enters the scene, he uncovers a tangled web of love affairs, a cynical Soho underworld, and a motive for murder. At one of the most high profile law firms called Cromwell Altman in New York City, Aaron Littman is living the life most only dream of. He has enjoyed a widely successful career representing some well known A-listers, along with a happy home life with a beautiful wife and two teenage daughters. All was good in his life. However, one mistake that Aaron thought no one knew about was going to come back to haunt him and quite possibly ruin his life and career. In an act of passion Aaron found himself in an affair with a well known judge named Faith Nichols. After a couple of months of secretly meeting at the Ritz-Carlton hotel, the affair was abruptly cut off and Aaron honestly thought that would be the end of it. Unfortunately the next client Aaron is asked to represent is Nicolai Garkov who is accused of laundering millions of dollars and also might be connected to the Russian mafia. When the request is first made Aaron immediately says no but is then told that Garkov has information about the affair Aaron had that he threatens to let out if he does not agree to be his lawyer. Against his better judgment Aaron reluctantly agrees thinking that he does not want to ruin everything he has worked so hard for over one mistake. To make matters worse the judge presiding over this case is none other than Faith Nichols herself and it now becomes disgustingly clear why Garkov pushed so hard for Aaron to be his lawyer - he is blackmailing him. Thinking that it would be in both his and Faith’s best interest to warn her, Aaron tries to call Faith on a prepaid phone but she sneers at anything he has to say. Feeling completely defeated Aaron heads home to his family but the next morning he receives startling news - Faith was found dead in Central Park. Aaron realizes that if his secret ever got out he could potentially become a suspect in her murder. This was an invigorating novel that had twists and turns with every page that had me on the edge of my seat with every chapter. I immensely enjoy books that have a plot right from the very beginning and in order to get every part of the book a reader has to start from the first page to understand all of the intricate details that lead to major climaxes of the story. I personally enjoy having a plot that is somewhat hard to explain to someone else because there are that many twists and turns in it. In turn I think that makes for such a great read and this novel definitely does that. Author Adam Mitzner creates a perfect blend of mystery and court room justice that had me glued to every page and definitely interested in checking out his other novels. Quill says: With an intriguing plot and exciting unexpected twists this novel will satisfy any mystery lover. In a kingdom called Primordya peace between elves, dwarves, and man reigned for many years as they allied themselves together against a brutal common enemy, the dark elves that dwelled underground and thrived in the shadows of the underworld. However, this peace was shattered when under the rule of their absolutely ruthless Queen Nahga, this dark army wiped through the land enslaving the dwarves and breaking ties between the elves and humans. All hope seems to be lost when the family of the Ever King is believed to be murdered as they were the sole heirs to this throne. They were also the only ones who could have possibly defeated Nahga. Fortunately, one daughter named Marin did escape the clutches of Nahga because her family insisted that she needed to be the one to survive while they selflessly sacrificed themselves to ensure that. With no idea where to go or who to trust, Marin runs further and further into the forest as she is pursued by a group of dark elves. Just as she thinks that her legs can carry her no further she plunges into a river to hopefully lose her pursuers but the next thing she remembers is waking up in a house belonging to a mage named Nicodemus. As she takes in her surroundings she is embraced by the Ever King, Alfrede Evenwood, who tells Marin he is in fact her grandfather, which makes her the next heir to the throne of Primordya. Suddenly, it becomes clear why Marin and her family had been living in hiding all those years and why Nahga is now pursuing her so maliciously. Not only was she a future Queen but Marin also bears the mark of a Dragon Guardian so if she is able to prove herself to the Elemental Dragons she will be given access to their power. This power will be needed in order to defeat Nagha and her army. Even though all of this information takes Marin a while to process, the thought of her departed family fuels her need for justice and she decides then and there that she will do whatever it takes to defeat Nagha, avenge her family, and bring the kingdom back together. It did not take me long at all to become hooked on this book as I am always in the mood for an adventure story filled with danger, magic, and fantasy and this novel definitely fit the bill. One of the best things Aida Jacobs did in my mind was establish a quest right from the beginning as she wasted no time in establishing the mission that Marin was about to embark on and that set the stage wonderfully for the remainder of this exciting story. In addition, the evil villain portrayed in the book is vicious to the core and I always applaud authors who can bring to life both a hero and villain as a story needs both elements to be great and Jacobs did that. 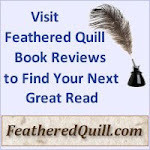 Quill says: A thrilling adventure that had me intrigued with every chapter. The cat nestled next to the bed, as if he were going to be the nap time guardian over the boy. The boy lifted one foot, poised to jump up into his bed, but wait! Perhaps this time in his dreams the locomotive would come to him. He could just imagine it and could almost envision the smoke stack billowing out those clouds of smoke, the drivers and cranks that would move the train forward, and even the pilot who would push a wayward cow out of the way. Whooo! Whooo! Yes, perhaps that train would visit him “as he snuggles in blankets so warm and cozy, as he listens to what he loves best.” Whooo! Whooo! A waning crescent moon, Saturn, and the twinkling stars surrounded his bed as the cat kept watch. The train had arrived to visit him as he slept. Whooo! Whooo! Not yet quite asleep, his favorite train began to enter the silent window of his dream world announcing its arrival. The smoke stack billowed out big clouds of smoke as it moved down the track and into his dreams. The stars are now twinkling quietly. “As he snuggles deeply / he listens once more / for the sounds of the train / that he knows is quite near / Nap time, nap time, nap time.” The train has passed, but perhaps he will hear yet something more. A fairy overlooks his bed, but will he hear the fairies as they begin to dance? The cat continues to keep watch and even his rocking horse awaits the arrival of the fairies. They are waiting, soon to send their “sweet messages of love” when a little boy finally falls fast asleep. What else would the "Nap Time Fairies" have in store for him? Of course the Nap Time Fairies keep watch over the sleeping boy, much as the cat sitting beside the bed does. Their arrival is symbolic of the author’s wish that they too would keep watch over her own child, Noah. The prose is lyrical and soothing, something to coax a little one into the dream world of nap time. I could almost hear that train arrive and anxiously awaited the Nap Time Fairies to see what they would bring to the little boy. The artwork is stunningly beautiful, meshing perfectly with the soft soothing tale. I was transported back in time to the world of John Tenniel and a time gone by with this wondrous work. This is definitely a book well worth placing on a little boy or girl’s nightstand. Quill says: This is the perfect nap time tale that will transport any little one into slumber-land with the help of the Nap Time Fairies! C.C. Humphreys stays true to his adventurous style and flair and treats his audience to yet another great read in his latest book: The Curse of Anne Boleyn. Almost twenty years have passed since Anne Boleyn died. Jean Rombaud’s sole desire is to put his sword to rest, the slaying behind him and live the balance of his days with his family. It is 1555 and the Tower of London is the place. Sadly, Rombaud will not get his wish, nor will the bones of Anne Boleyn remain in what was intended to be her final resting place. Siena is about to fall and the grasp of holy grace upon the community will change forevermore. The quest for the hand of Anne Boleyn has different meanings for those who seek to recover it—one to resurrect the necessary Catholic shroud of religious bliss and governance over a society of people who bow to their Lord and Maker—the other to rid evil and rest the constant wars among peoples. The common link between the opposing forces, however, is the goal to be the first to acquire the mysterious, six-fingered hand of Anne Boleyn. Continents will be traveled, a mass ocean crossed to the new land and along the formidable journey, blood will be spilled. In the end, fate will be delivered to the one worthy of the coveted hand of Anne Boleyn. C.C. Humphreys has done it again as he enlists his swashbuckler’s flair with pen and medieval tone of word choice. Having read a previous title by Humphreys (Jack Absolute), I had an instant connection with his “off to the races style” from the onset of the story. He is masterful in securing the necessary real estate within the first handful of pages to lay sound and solid plot. There is a steady and methodical introduction of key characters who easily carry the reader along a fantastical journey of adventurous storytelling. There are few authors I have read over the years who are able to consistently fold one new character after the next into the plot with confident writing that portrays the vital importance of each character to the story. Humphreys does this to the ‘inth’ of perfection. It is clear his passion and flair for writing in the Renaissance period is where he is most comfortable. Not only are the scenes leading to the action credible, but the dialogue is spot on to the period of time. What a treat to read yet another engaging adventure penned by the likes of Mr. Humphreys. As stated before, I am a fan and do welcome the future opportunity to critique yet another of his delightful adventures. Quill says: Mix religion, history, adventure and intrigue in a large bowl and bake at 325 degrees for 414 pages. The finished product is one, delicious read: The Curse of Anne Boleyn. As everyone knows, there are many guides on the literary scene that focus on saving or keeping a healthy relationship. They break down the right things to do when it comes to difficult times, stressful times, and the basic issues that come with everyday living that can ruin a relationship completely. And the answers given when it comes to keeping a relationship healthy in most of these guides make it seem as if that goal is not only unlikely – but impossible. Even the statistic of “over 50% of marriages...” is still used in everything from books to movies. But this new, path, shall we say, actually steps outside the box, bringing in the realm of music to help people through the tough times in order to stay happy, keep together and live a good life. The cover and the actual “plan” will remind those out there of the astrological chart/the 12-months out of the year. Using the calendar, the author comes up with a theory based on the 12 note musical scale, and its direct relation to the month you were born. This is a theory that actually makes a great deal of sense and is riveting to read. But you MUST make sure you study, because this is not something that just pats you on the head and recites old “feel good” mantras; this is one that can make a difference. Beginning easily, it is crystal clear to all of us that there are certain songs that “mark” an event in our lives. Our minds keep that particular music. And when certain songs appear on the radio, in a restaurant, etcetera, that immediate feeling – whether it be elation or absolute heartbreak – is directly tied to those moments we will remember forever. To be even clearer, the author makes a mention of the movie Jaws. All anyone needs to hear are the first two drumbeats from that song and you’re frightened. This will always relate to a horror show, causing fear and thrills down to your toes. This works with all music that your mind pieces together with a specific event. Now...how does this work in regards to the month you were born? In a very interesting way, Harmonology shows the reader what “type” of relationship they will form with someone born...say, the same month they were as opposed to someone born exactly six months apart. Each relationship (and this stands for friends, children and parents, etc. ), can work well and function successfully depending on the “harmonology” of that union. And on the dark side, the author can show you what went wrong with a broken relationship and why no harmony was attained. The laws of actual nature and the laws of music are the same laws – which means they run in perfect harmony with each other. So as you read the examples given of relationships that this writer talks about, you get a better understanding of how you and the other person in your relationship (two notes, so to speak) can, will and/or won’t create a harmony...and why. Although in the beginning the concept is ‘easy’ and highly interesting, Harmonology is not something you can completely and utterly understand on the first read. This is a true study guide and, yes, those with an understanding of music terminology will have an easier time with it. Quill says: A fresh approach to educating people about the creation and maintenance of a relationship. FQ: Could you tell our readers a bit about your background? 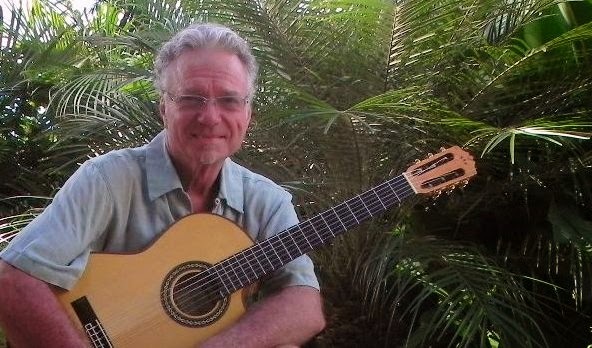 Being a jazz guitarist, composer, with a list of accolades, how did the concept of Harmonology first come about? O'CONNOR: I was born and raised in San Diego, California. I didn’t start my musical career until around the age of 16, when I started playing bass in a surf band. Soon after college, I gained a strong interest in jazz, and I began to investigate the guitar. In my early 20’s I won the prestigious Downbeat Magazine Scholarship for performance and composition, to the Berklee School of Music in Boston. Upon my return to Southern California I not only played jazz with talented Southern California artists, but also entered the recording studios as a session player. Soon, I found myself writing and composing for Sea World, Toyota, Jeep, Folder’s Coffee, TV, film and documentaries. My writing career brought me to write for Universal Studios, Warner Bros., Disney, The Republic of China, The Seville World’s Fair, The Olympics, NASA Space & Rocket Center and many others. I was fortunate to receive a commission to compose a suite for the San Diego Symphony and a commission to write a work for violin, jazz piano and jazz bass, which I talk about on my first book, Counterpoint to Reality. Throughout that time I also had a very deep curiosity about who I was and why I was here. I read and studied intensely for years, mainly in the Western Esoteric Tradition. Ultimately, I was initiated into various occult and secret Orders such as The Knights Templars, The Rosicrucian Order, The Order of Pythagoras, The Order of Melchizedek and The Martinist Order. Through those experiences I was able to investigate the power of sound through vowel intonation and the nature of vibration. Harmonology is the logical result of that research and study. FQ: Your novel, Counterpoint to Reality, was focused on your spiritual journey. Do you feel that journey is parallel or linked to your quest to Harmonology and being more open in regards to finding and keeping successful relationships? O'CONNOR: Counterpoint to Reality was a memoir. It chronicled my Path to understanding and helped me “lay it out on the table,” if you will. During those years of deep investigation, I became acutely aware of energy and vibration as being the essence of all creation. Music is just that – energy and vibration. It wasn’t until later that I realized that since we, ourselves are vibrational, we must create sympathetic bond with those vibrating around us, like two notes played together on the guitar. That’s when it all began for me. It all started to come together––music and relationships. FQ: Did you, yourself, attain music therapy during your lifetime? And is there a person or persons who have had an effect on your writing? O'CONNOR: As I mentioned earlier, I spent a large amount of time investigating sound, not only for creating resonance and spiritual alignment, but also for assisting the chakras to open and begin their vibratory entrainment with each other. In a very tangible sense, I was dealing with sound therapy in a way that was just opening up to exploration at the time, at least in the West. FQ: What can readers look forward to in the future? Will Harmonology be a subject that you feel you will write about again? Or will you be exploring other paths? O'CONNOR: I am amazed at how Harmonology just keeps opening up and expanding. I know I have only scratched the surface on this subject. I hope to eventually interest someone in the scientific field to put the concept to the test. I’m now curious as to the multi-ethnic ramifications such as how the idea plays out in other cultures, especially those, for example, that are more “macho” or male dominated, and those that do not use the 12 note musical scale. FQ: You have had so many unbelievable accomplishments in your career. Can you speak about a few that perhaps included Harmonology? For example: is there a certain piece of music that is linked with a certain event of yours that remains in the forefront of your mind? O'CONNOR: Being a musician and composer who has spent his entire adult life immersed in sound, I can’t say I have any one piece of music that surfaces on my conscious mind. Perhaps, Adagio for Strings, by Samuel Barber, or The Gentle Side of Coltrane, bring back the deepest memories, complete with emotional attachments. 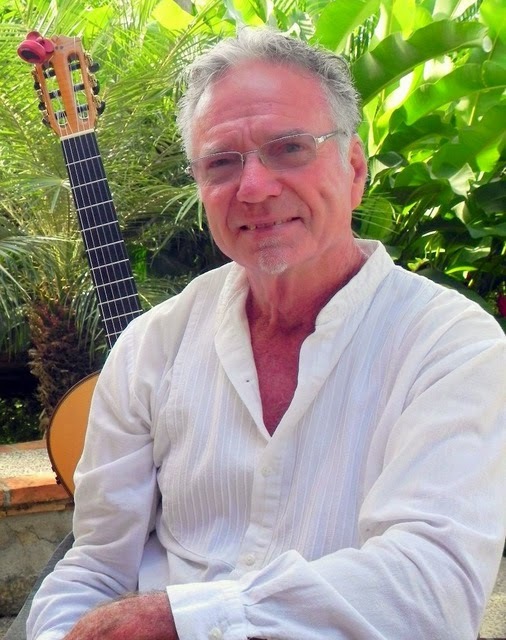 I was fortunate to have been given a special gift in both music and the Spiritual mysteries. Most of my major accomplishments have come through visions or dreams. Where those come from is out of my understanding. Harmonology is most definitely one of those. I feel it’s a gift--to be given at a time that it is needed. FQ: Although this may sound like a “political” question, I assure you it’s not. From your point of view, believing in universal harmony, do you feel that areas in our world that are failing consistently (whether environmentally, education, etc.) could be fixed with Harmonology? O'CONNOR: That is a deep and highly interesting question. The thought that large masses of humanity, say an ethnic or regional group of people, or even a country, can contain a singular vibratory pattern and then interact with another is very compelling. Could, for example, the Catholics and the Protestants in Ireland form a flat 5th or flat 2nd interval? If that could be proven, even to a small degree, it would take our understanding to a new level, perhaps even allowing healing and acceptance to happen. FQ: Do you believe in astrology? You work with the 12-month calendar and music for this book, but do you have any belief or interest in how that part of science works upon relationships? O'CONNOR: I think it’s all the same. The reason I did not include astrology in my book is that I wanted to stay neutral and open. Harmonology is unique enough to stand on its own. I also purposefully tried to avoid the label of “New Age,” though whether I accomplished that is up for further discussion. Again, it’s all vibrations. Astrology makes a fine case for understanding the “Matrix,” as I call it. So do many other disciplines, such as the Kaballah, the I-Ching and others. FQ: Is there one thing you wish the reader to take away from this book? O'CONNOR: Most definitely. I know that we, as a species, are, as they say in Star Trek, at the edge of a new frontier. The old paradigm is crumbling, and rightly so. In order to survive and prosper, we all need to clean up our act. Now is the time to tap into our higher power, take control of our lives and become, as I wrote in Counterpoint, a true being--to walk upright. In the Church of Santo Daime, where I experienced ayahuasca, they held to the belief of the “Second Coming of the Christ.” That’s when you meld with your Inner Presence and raise it to the level of Master. In the Knights Templar, it was called “Slaying the Dragon.” I am not religious, but that symbolism rings strong with me. Our relationships are a good place to begin that process. Harmonology has the potential to give many the tools to heal their relationship wounds and live in a much more positive and healthy, happy way. To learn more about Harmonology: An Insider’s Guide to Healthy Relationships Through Music please read the review at: Feathered Quill Book Reviews. For those who are unaware, this is the sequel to the outstanding book Voice of Conscience, which first introduced this family to the literary world. And although there is a lot in regards to getting back to one’s roots in Erin’s Story, the author also offers up a full package of romance, drama and suspense. Okay, I admit it – I love gangster movies, forensic shows and who-dun-it mysteries on television. So when I was offered this new Time-Life book on the criminal mind, I jumped on the chance to review it. Does it live up to my expectations? Yes, and I really enjoyed the somewhat different approach it takes on what makes these hoodlums tick. Before delving into the stories of the most infamous criminals, this book explores what turns some people into cold-blooded killers. We get a brief history of what early criminologists suspected happened in the minds of these men – and women – from left-handedness to bumps on the head to turn them into criminals. From here the authors take us to present-day DNA research, environmental influences and other possible causes. It all makes for some interesting reading. The bulk of Mysteries of the Criminal Mind focuses on the most notorious killers, many of whom the reader will be familiar with, from Lucky Luciano to Ted Bundy. There are, also, many criminals in this book who may not be at the forefront of history books but their stories are no less compelling. Profiles are sectioned by topics such as Mobsters, Arson, The Lethal Female, and include photos, sidebars and inserts. I found myself repeatedly flipping forward/back, skipping to biographies that grabbed my attention. Before long, I had read the whole book. If you’ve read my reviews, you will know that I’m a big fan of Time-Life books. They tackle interesting topics and present the information in an informative, quick and attractive way that keeps me reading. 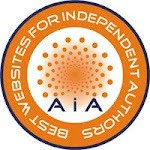 While the format doesn’t allow for in-depth examination of each topic, it consistently presents a brief overview that will pique the interest and offer an excellent starting point to investigate further. Mysteries of the Criminal Mind follows this winning formula and is an excellent book to learn more about some of the world’s most infamous criminals. Quill says: Mysteries of the Criminal Mind will keep you turning pages, learning some fascinating facts about some of the most evil people this world has ever known. FQ: Can you tell our readers how the idea for this program came about? FQ: Even though, of course, readers will realize that any physical activity can be ‘inserted’ for dance, what was the reason behind using dance as the main subject? MCCARTNEY: I love to Dance and my son Andre is a hip-hop, Latin ballroom and salsa instructor as you can tell from the photos in the book. The term dance is expressed in every culture and society; in rituals or self-expression and a great way to transform and introduce movement and the 12 Steps of the book for total fitness. 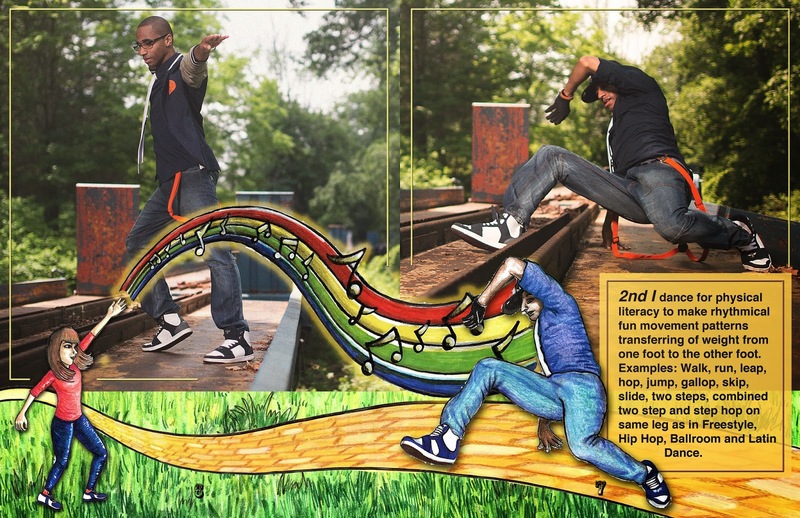 The design of the book is for all fitness levels and not limited to dance. The rhythmic and metaphor of dance provides the vehicle in which the reader becomes engaged in the environment in which we live. FQ: It seems like there are millions of programs when it comes to losing weight, exercise, etc., out there. As a professional in the Phys. Ed. realm, how do you feel about all of this? And is there a way to get the mind off the “quick-fix” for weight loss and healthy living? MCCARTNEY: Physical Literacy 12 Steps Pledge Ambassadorship is written by a Physical Education teacher with the goal to outreach across the social economic divide, in and out of the classroom. In 2014 the High School National Standard for Physical Education just modified standards to include the wording physical literacy. I believe this book will be found useful in building awareness to the term Physical Literacy in years to come. FQ: You write for “The Wave” newspaper. Can you give our readers a little more background on this? FQ: You mention “social” fitness along with mental and physical well being: Can you perhaps expand on what “social” fitness is and how it helps children, teens and adults? FQ: There is so much stress in this world, are there personal stories of readers who have reached out to you regarding changing their way of life with your program? Can people volunteer in some way to help you reach out to more people regarding jumping on the Physical Literacy Train, so to speak? MCCARTNEY: The first step to show your support is to get a copy which is available in e-book and print version at major retailers on line. Second, if you have social media skills please contact me at steven.mccartney@yorkmail.cuny.edu I'm looking for socially fit volunteers to jump start ambassadors for physical literacy campaign. Thirdly, send me a review. Fourth pass forward to a friend. Fifth if you like to sponsor translating the book in your language send me e-mail. Sixth you have a contact that you feel will help move the book. I like to hear from you. Yes let’s build a global frontier for Physical Literacy - be an Ambassador today! FQ: Could you tell readers a bit regarding Andre, the dancer in this program/as well as in the book, itself? MCCARTNEY: Andre (the dancer) is my son and the model for the book. As I mentioned earlier he is an instructor in hip-hop, Latin ballroom and salsa. I am proud to say he is also a serviceman in the Army now serving in Korea. FQ: Will there be more books/information regarding this or other programs in the future? MCCARTNEY: I wrote the English version and now I have completed the translation for the Spanish and Mandarin Chinese version which I look to release next year. My goal is to be able to make Physical Literacy 12 Steps Ambassadorship in a minimum of 7 languages. I believe the book needs to be presented in as many native languages as possible. This will increase the life of the message. FQ: What do you hope will be the one main thing that people take away with them after reading about this program? Watch the YouTube Book Trailer! 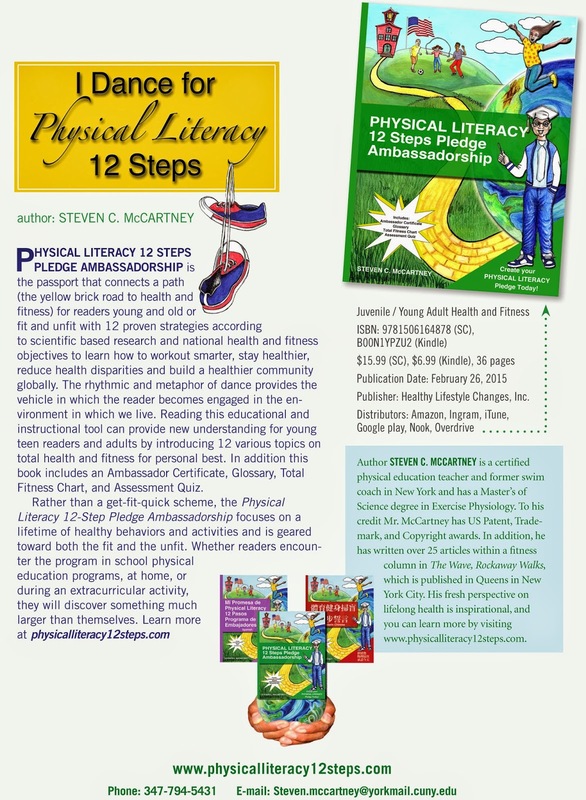 To learn more about Physical Literacy 12 Steps Pledge Ambassadorship please read the review at: Feathered Quill Book Reviews. As a reviewer and a reader I am always amazed by twists of fate, and how out of nowhere you can read a book that is basically speaking of your own life. This tale, for all women whether on the road, or not, is one of the most perfect books you can possibly get your hands on. Not only does it tell a story with absolute humor, drama, and all facets of life – it also has that main character who’s learning. They are finding themselves and, happily, it is not a kid right out of high school who needs to “find themselves” long enough so they don’t have to head directly to college. Maggie Stevens is our main character, and all that can be said about her in order to “sum up” is that she is absolutely human. This is a woman who has not hit menopause; in fact, she is really pre-pre at the age of forty. She is the mother of three which means she knows full well about the yelling, crying and absolute love and hate children can give to Mom. The road trip that Maggie goes on is more than riveting and absolutely hilarious. In a bus with one of the strangest species on Earth – yes, I mean actors – Maggie makes relationships with cast members (and I wish I could unveil some of these, but I will not ruin a moment of this completely cool story), and talks about everything from the fun of staying with children in hotels to dealing with people who sometimes act as if the cavern where their brain is supposed to be actually echoes. Maggie makes many real statements in this book; the clearest being the fact that when we turn forty we look in the mirror and don’t understand who’s looking back at us. Forty starts “Act II” of our lives…an Act that we hope to heck is way better than the first. From big, sparkling cities to the drabbest of small towns, the bus journey that Maggie takes is fantastic – always reminding us that whether sparkling or drab, there’s something on every stop of the “tour” we take through our lives that we most definitely have to see. The author has actually based this on her own journey, when she was with her son working in the “guardian” role on a Broadway Tour. (For anyone who has not seen the blog, www.momontour.com, you have to change that fact right away; it is the funniest thing you will ever have the opportunity to read.) And although reviews are rarely personal, as a single mom who went across the country many, many (too many) times, with a little girl beside me (and, boy, were those hotel stays rough), I have to say that this was one of the most perfect books I have ever read. Now…it’s time you did. Publisher: Healthy Lifestyle Changes, Inc. The subject of “Literacy in America” is always spoken about. A headline for a good, long time, we want our children, above all else, to receive a good education; an education that allows them to progress in life in order to reach their dreams. Another U.S. headline comes from the fact that we are all trying to beat obesity; from learning how to cook better meals to understanding how important physical activity is to increase lifespans. This new book is a true help, because it combines both topics in one timely book. Literacy of the mind is one thing, but being educated/literate when it comes to a healthy diet in this world of fast food joints and vending machines is an absolute must. In addition, there are all kinds of exercise programs out there, as we all know, but it would be more fun to exercise using a technique that also allows you to have a good time while keeping yourself fit. Physical fitness is achieved by participating in many activities. Running, walking, playing sports – you name it, there is a variety to choose from. With this particular guide, the author discusses the enjoyable activity of dance to bring about physical literacy, which makes for a fun activity AND a fun read. This is a much-needed 12 Step program. And don’t get me wrong, you do not have to use dance as the activity. In fact, at the very beginning of Physical Literacy the author explains that while reading the 12 steps you can insert your favorite activity where the word “Dance” appears. Any recreation time can be used to fight obesity and reduce stress. And the illustrations of the dances are tremendous in this book. The participant looks to be having so much fun, that you may actually wish to focus on dance as your new “favorite” physical activity. Provided in the back of the guide is a “12 Step Pledge” for all readers to sign, and ALL ages are focused on. This is also a program where cash is not required for a gym or workout center in order to get fit. In other words, anyone can achieve physical literacy and enjoy themselves while doing it. From the writer (a certified P.E. 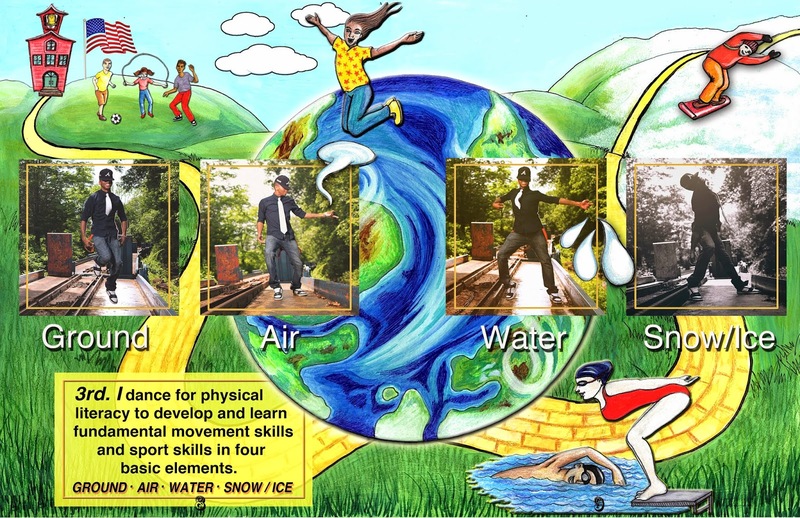 teacher) to the dancer, illustrator and photographer – all have come together to make this particular program lead us down the right (fun) path to longer, healthier lives. Extra suggestion: Head to www.physicalliteracy12steps.com to start learning immediately. Quill says: This is truly “literacy” at its finest. By learning and then DOING physical activities, you increase your body, strength, heart, and mind. Let’s Dance! Today, Feathered Quill reviewer Charline Ratcliff is talking with Brigitte Goldstein, author of Death of a Diva: From Berlin to Broadway. FQ: Brigitte, I certainly enjoyed reading your Historical Fiction/Mystery novel: Death of a Diva: From Berlin to Broadway. Did you pull any of the story from your own personal life experience? GOLDSTEIN: Not directly from my personal life, but I have been steeped in this period for many, many years, studying the history, the culture, reading the literature, memoirs, listening to people who were there. It’s really a matter of patching together swatches from many different sources and infusing them with my imagination. I try to transport myself into a particular place and time. Some people I know think I never made it out of the Weimar Republic. FQ: In reading your bio, I noticed your passion toward early modern France – what drew you into the mid-20th century to focus on a tale that deals with the atrocities and hardships of a pre WWII and WWII era? GOLDSTEIN: In my younger days, I had the pleasure of studying in France. I took a year’s course at the Sorbonne studying what they called French civilization which encompassed everything from literature, history, philosophy, geography. I was particularly drawn to the history of the Middle Ages. But the 20th century, especially 20th century German history is really my field. I wrote my dissertation on German pacifism during the First World War and the Weimar Republic. There was such a movement, a very vigorously one that counted many prominent people among its members. My interest and focus was, however, always more on the broader culture which included the theater and cabaret milieu, the literature. Part of all this is, of course, the Nazi regime and the Holocaust which has been my obsession from an early age. FQ: Have you ever traveled to any of the locales you use as your story settings – in order to immerse yourself more thoroughly in the culture? If so, as the writer, what do you seek to find or to feel? GOLDSTEIN: I was born in Germany and am fluent in the language. So becoming immersed was only natural. Since the fall of the wall, I have been to Berlin several times. For a writer, of particular interest is visiting places where other writers have lived and congregated. Many of the famous coffeehouses like the Romanische Café (I call it Romanesque in the book) have been resurrected. The same goes for Vienna. Literary luminaries gathered in these coffeehouses, as I describe in the book, where they exchanged ideas and sometimes engaged in altercations. Now they have been revived and spruced up for the tourism industry, but it’s still possible to transport yourself to a former time and imagine sharing a cup of coffee with Else Lasker Schueler in Berlin or Stefan Zweig in Vienna. FQ: During your research and/or writing phase of Death of a Diva: From Berlin to Broadway, did you uncover any surprising, or new to you, information and facts. If so, what were they and how did you incorporate those into this book? GOLDSTEIN: Actually one of the most surprising facts, surprising to me, I came upon was when I researched the making of violins. I had already put Viktor’s birthplace in the Carpathian Mountains and made his father a luthier – a violinmaker. There was no particular reason for this. It just came to me that way. Then I decided I should know something about how violins are made and what I discovered was that Stradivarius and other Italian luthiers of the 17th and 18th century imported their wood from that remote mountain region, somehow the spruce and maple was valued for the quality of sound it produced. There is no agreement on this, but I love it. FQ: Where do you find the inspiration for your stories once you have decided upon a location and era? And of course, which comes first – location and setting or the inspiration? GOLDSTEIN: History is an endless source of inspiration. Generally I create my own characters and place them in a particular period and time, mostly perilous time, like the first novel I wrote which puts my heroine through the mill during Huguenot Wars in 16th century France. My inspiration for the Diva was one of the great Jewish actresses of the German stage and later screen in the 1920s. 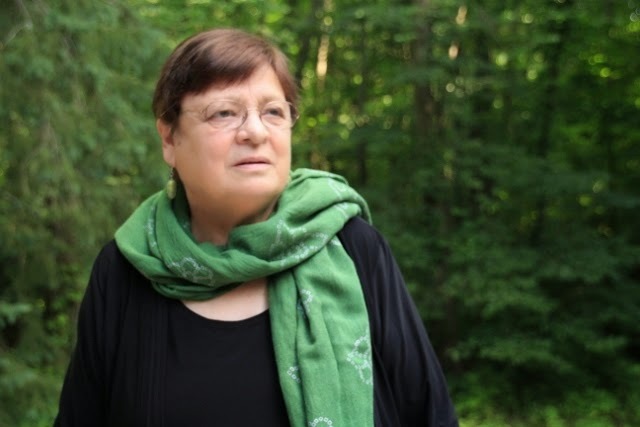 Her name was Elisabeth Bergner. While they have much in common – Elisabeth was an outspoken critic if the Nazi regime -- Stella becomes a distinct character in the course of the story. For one, die Bergner lived to the ripe old age of 89 (maybe nowadays not so ripe anymore). I started out with wanting to write a fictional account of Bergner’s tumultuous friendship with a Viennese poet by the name of Albert Ehrenstein. I carried this story around in my head for many years – meanwhile writing other things. When I finally had to get it out, it was still the relationship between these two people, however, in transformed. They, and especially Stella, became emblematic of the culture that the Nazis destroyed. Many people are not aware of the tremendous cultural flowering in the early decades of 20th century in the German-speaking world; in all fields, art, literature, music, the theater and the emerging cinema where Jewish artists and writers were in the forefront of innovation and creativity. Stella represented this world and its demise. FQ: With this specific title, you’ve obviously chosen a difficult world period to write about – an era where racial discrimination was volatile and extreme (and that’s putting it mildly). What, if anything, do you hope that the reader takes away with them upon completion of this book? GOLDSTEIN: I guess I already answered this question. Of course, readers will take from this tale whatever appeals to them. It can be read, and I hope enjoyed, on different levels. Those who prefer a hard-boiled detective story set in 1940s New York maybe taken aback by the long detour into other regions and cultures of the world, particularly Jewish culture. But that’s what the book is about, that was my intent in writing it. I hope people will learn about a magnificent culture that was destroyed by hooligans and tyrants whose ideology would not tolerate otherness. 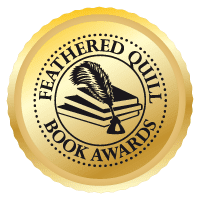 FQ: What’s next in the writing works for you? Will you make a return to France, Germany or a ‘younger’ America? Or will you delve into the rich history of a country you haven't yet set a novel in? GOLDSTEIN: The story I have just started sends Misia back to Germany after the war. She receives notice that her grandmother may be alive and she is determined against all odd – Germany is governed by the Allied Command and sealed off against anybody traveling in or out. So she has to use much deception and shrewdness to overcome the obstacles. She has matured quite a bit and we’ll have to see what happens on this journey. Even I am not sure. Things pop up along the way. I also hope to get to a story I have carried inside of me for a long time, set in 14th century Spain, at the time of the mass conversion of the Jews. This too is a little known episode that preceded the expulsion by a hundred years. I hope to bring it to life through the trials and tribulations of my fictional characters. FQ: Lastly, are there any words of wisdom you would like to share with aspiring writers? Any challenges that you have faced and overcome – that you might be able to steer others past? GOLDSTEIN: I am a self-published writer and I am grateful that these opportunities exist. They didn’t when I started out writing and was bogged down by many rejections. The only thing I can say is, if you have a book inside of you let it come out. It’s after all like being pregnant. Getting published is daunting. If you still are young, persist. 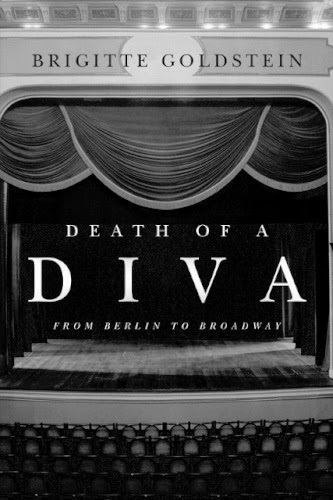 To learn more about Death of a Diva: From Berlin to Broadway please read the review at: Feathered Quill Book Reviews. Labels: Brigitte Goldstein, Death of a Diva: From Berlin to Broadway. Just arrived for review - check them out! Nap Time Fairies by Jenifer Johnson As a working mom of a small boy named Noah, Jenifer Johnson wanted to be there to see each smile, watch him grow and explore with him. She missed Noah every minute she was away, imagining him and his daily routines. So she invented "The Nap Fairies" and would tell her son this story during their times together. She imagined the Fairies making the journey for her and watching over him. During their times apart, she was sending him "love, laughter and my heart ever after." It was a natural next step to turn to her own mother Barbara Morgan, a gifted artist, when she decided to create this book. Both author and illustrator knew how children can grow anxious at bedtime and they wanted to give them a sense of comfort. Now Nap Time Fairies provides parents a lovely way of connecting with their children whenever they're apart-as well as when they're together. Nap Time Fairies is sure to become a favorite bedtime story for families everywhere. Handmaidens of Rock by Linda Gould It is the late 1960s, and Jimi Hendrix is at the height of his career, America is undergoing political and social upheaval, and a rock and roll band is shaking the rafters of its suburban Maryland high school. As Preston, the founder and lead guitarist of Homegrown cranks out the tunes with keyboardist, Neal, and drummer, Brad, three girls appoint themselves as the band's official groupies without any idea of what lies ahead for any of them. After the band members sign with a management company and make the controversial decision to replace popular Brad with another drummer, they decide to pursue a dubious lead in England, accompanied by the girls who love them: Candy, an aspiring journalist; Hope, wannabe model and fashion designer; and Theda, a thespian with big dreams. As their journey takes them to Europe and back again, the girls-challenged by love rivals, partying lifestyles, and the growing stardom of the musicians-remain determined not to be mere "handmaidens of rock" But it is not until Brad embarks on a vengeful quest at a festival that the three finally have the opportunity to prove their worth as grown women. Handmaidens of Rock is the compelling tale of three high-school girls who attach themselves to a rock and roll band in the late 1960s and embark on a wild adventure across the world. Wandering Woolly by Andrea Gabriel Little Woolly leaves her mother behind as she chases a toad down to the river. When the glacial ice breaks, she is swept away in the rumbling, rolling water. Now alone, the mammoth calf struggles to survive. She must sneak past cave lions, bears, saber-toothed cats and humans. Exhausted and afraid, she must even hide from stormy weather as she fights her way back to her herd. How can she find them? Will she ever get back? Losing Faith by Adam Mitzner Aaron Littman is the premier lawyer of his generation and the chairman of Cromwell Altman, the most powerful law firm in New York City, when a high-profile new client threatens all that he’s achieved—and more. Nicolai Garkov is currently the most reviled figure in America, accused of laundering funds for the Russian Mafia and financing a terrorist bombing in Red Square that killed twenty-six people, including three American students. Garkov is completely unrepentant, admitting his guilt to Aaron, but with a plan for exoneration that includes blackmailing the presiding judge, the Honorable Faith Nichols. If the judge won’t do his bidding, Garkov promises to go public with irrefutable evidence of an affair between Aaron and Faith—the consequences of which would not only destroy their reputations but quite possibly end their careers. Garkov has made his move. Now it’s Aaron and Faith’s turn. And in an ever-shocking psychological game of power, ethics, lies, and justice, they could never have predicted where those moves will take them—or what they are prepared to do to protect the truth. Primate School by Jennifer Keats Curtis Gorillas using iPads, lemurs finger painting, squirrel monkeys blowing bubbles...these primates are pretty smart! Could you make the grade in Primate School? Learn how diverse the primate family is, and some of the ways humans are teaching new skills to their primate cousins. Author Jennifer Keats Curtis is once again working with organizations across the country to share fun facts about primates through this photo journal. Fibonacci Zoo by Tom Robinson When Eli and his father visit an unusual zoo, they count the creatures in each exhibit. Eli sees one alligator, then one bison, and next two camels. Soon a number pattern emerges and Eli thinks he can predict how many animals will be in the next exhibit. Explore the zoo with Eli as he runs ahead to test his hypothesis. It’s time to spend a day with Abba, father. Abba picks up his son for a hug, but when it’s time to get up in the morning the little boy whispers in his ozen, ear. Abba smiles because it’s time to get up and start his day. They’re both still in their jammies and sit on the bed to talk. The little boys snuggles up with his stuffed aryeh, lion, as they smile. Time to get up, time to get up because the sky is blue and perhaps they can go out. There are a couple of coats in the aran, closet, and one of them is perfect to hide in. Can you find me, Abba? This is a charming flip book of Hebrew words beginning with the letter Alef that little ones will love. A little boy spends the day with his father (Abba) and as we read we learn ten words beginning with Alef. When the book is flipped, the day is spent with his mother (Ima) and we learn ten more. In the two-page spread in the middle of the book the day meets bedtime when everyone gathers together to read and spend time together. Each word is printed out in Hebrew followed by its transliteration and English translation. The flip book has a story about Abba and when flipped has a story about Ima, a unique and fun approach. Quill says: This is a perfect book to introduce little ones to the Hebrew alphabet and words! Have you ever heard the old adage about how animals are able to solve problems when people can’t? This is still very true, as we all know. From dolphins to chimpanzees, the creatures living in the forests, skies and oceans (non-human, that is), have proven again and again that they own the capacity to understand a problem, think it through, and solve that problem—without becoming so angry that they simply give up. Whether it be sea otters who have perfected the art of cracking crabs on their bellies for some good chow, or how some species such as ravens and hyenas actually join forces and work as a team to hunt prey for their survival, animals can teach us things. In other words, this is one outstanding children’s book. Although, it is a book I believe parents should read to their children so that Man can come to some sort of understanding as well. Working together to solve problems can be fun, inventive, and most assuredly bring species together. You Are Stardust was the first awe-inspiring read from these creators, and this is the second. 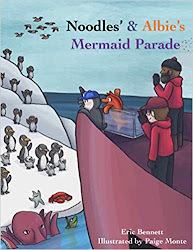 A science educator joined her ideas with a spectacular artist/illustrator to bring these ideas forth that focus on the world of creative thinking. And they have done a fantastic job. They show that even the animals get frustrated once in a while with attempts that do not work out, but continue to strive in order to invent the tools they need to succeed. The dioramas are truly beautiful in this book and without pushing or prodding children will learn, respect, and connect with the natural world out there. Educating kids in a fun way is incredible…educating adults is at most times a miracle. If this team continues with their publications both the incredible will happen and, fingers crossed, miracles will come about. Anyone who has ever had a cat knows that they are a unique animal that add a whole other element of fun to your life. The quirky, crazy, and unexpected adventures that come with sharing a life with cats are never dull and in this book The Good, the Bad and the Furry by Tom Cox this relationship is presented in a wonderfully humorous way. Having one cat in your house is exciting enough but for Tom Cox he just can’t say no and now has four cats who share his life. His most beloved cat is named The Bear, who seems to be the most distinguished of the group. Bear is always quietly observing the people around him as if making notes for the cat species to eventually take over the earth, or it seems that way to his human companion. Unfortunately, The Bear is forced to live with three other cats who do not share his same intellectual views and he seems to be disappointed every day by this. There is Ralph who enjoys waking everyone in the household up at all hours of the night with his terrible sounding meow that has never seemed to get any better, then Shipley who just seems happy to be here, and a new addition, Roscoe, who has a strange addiction to towels. Needless to say, Tom’s life with his four cats is always interesting and his relationship with them is consistently intertwined with all of his other relationships. With the happiness that cats have brought him he is always on the lookout for a perfect cat for his parents to enjoy but many times a cat finds them before he can find the right one. Then every time he goes on a date there is usually the worry that this new woman in his life may not have the love for cats that he does. However, it all seems to work out well as his loyal companions never cease to supply him with writing material as he uses their crazy stories in his career as an author. The undeniable humor in this book did have me laughing out loud with nearly every single page as Tom Cox has without a doubt captured the essence of a cat owner’s experience. For the last two years I have worked as a veterinary technician and have had the opportunity to work with so many cats and their personalities never cease to amaze me. So, it was easy for me to relate to some of Tom’s dilemmas and experiences as I have come face to face with some of them myself. Even though I did enjoy the writing in this book, there were times when I got lost as this book, while humorous, was at times a little difficult to follow. Quill says: A book full of humorous, crazy, entertaining, and intriguing stories of a devoted cat lover that will have the reader smiling.